A Politician Admits a Mistake. 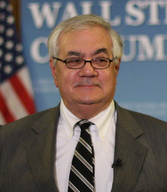 During the run up to the crisis, Barney Frank and others in Congress encouraged Freddie and Fannie to absorb most of the subprime mortgages. In 2008 they held over half of all mortgages, and almost all the subprimes. They have absorbed even a larger fraction of the relatively few mortgages written after 2008. Freddie and Fannie deserve a considerable share of the blame for the crisis, but they continue to have strong political support. I would like to see both of them eventually dissolved, but that is unlikely to happen. For years, Frank was a staunch supporter of Fannie Mae and Freddie Mac, the giant government housing agencies that played such an enormous role in the financial meltdown that thrust the economy into the Great Recession. But in a recent CNBC interview, Frank told me that he was ready to say goodbye to Fannie and Freddie. I think Chairman Frank watched these government behemoths descend into hell and then witnessed the financial catastrophe that ensued. And I think he has come to realize that the whole system of federal affordable-housing mandates that was central to the real-estate collapse — including the mandates on Fannie and Freddie and the myriad bad decisions made by private banks and other lenders in response to the government’s overreach — simply needs to be abolished. Props to Barney Frank. Let’s hope he can bring some of his fellow Democrats along with him. The controversy over the bigger-than-a-mosque Islamic center proposed on a site chosen for its proximity to Ground Zero bears an unappealing resemblance to the abortion issue. The important thing is not one viewpoint triumphing over another. It’s restoring reasoned and reasonable conversations about stuff that really matters, and making sure that discourse douses the flamers who seek only to divide and exploit. So in the interests of reasoned discourse, I want to acknowledge that religious freedom is one of the core, foundational values of this country, and Americans rightly have a visceral reaction to anything that smacks of religious intolerance. But religious freedom is not the only thing at stake here. The analogy of the Pope asking the Carmelite nuns to move their convent out of Auschwitz is a good one — however good the sisters’ intentions were, their presence there was offensive to people who had survived a monstrous atrocity. Unlike those in the conservative movement who believe Islam is the enemy, I argue that there are real moderate Muslims, who need to be encouraged and supported in waging the fight within Islam against the uses of the Quran for radical purposes. These Muslims exist. We must support them, and not fall into the trap of backing imposters and charlatans who claim they are moderates, and who use our gullibility to pull the wool over our eyes, and who gain our monetary and political backing for what in reality are nefarious purposes dangerous to our national security. But to view all Muslims as per se extremists is to give up this fight in advance, and to push real moderates into the hands of the extremists. If all Muslims are our enemy, we give credibility to the radical Islamofascists, who claim that their view of the Quran is the only true one, and if one is a real Muslim, they must join Bin Laden and the other radicals in their holy Jihad against the West. Both sides of the controversy cite the First Amendment — freedom of religion vs. freedom of speech — but appealing to the Constitution is missing the point. Nobody — no serious person — is suggesting the government should forbid the project. What I and millions of other Americans (including many moderate Muslims) want is for the developers to find a new site. And that’s exactly what the developers will do, if they are truly serious about wanting to build bridges. As James Taranto pointed out, “If the intent of the Ground Zero mosque is ‘to bring Muslims and non-Muslims together,’ it is already a failure on its own terms.” Reasonable people can disagree about who to blame for that failure, but the fact that the project is divisive is indisputable. A Message to Conservatives: Is Islam Really our Enemy? President Obama today announced an Iraq withdrawal plan that George Bush would be proud to call his own. Actually, it IS Bush’s own. Don’t be fooled by the lawyerly language in his pledge to complete “the responsible removal of our combat brigades from Iraq” by August 2010. He’s leaving up to 50,000 troops in place until the end of 2011, and I guarantee that they’ll have weapons and the capability of responding with more than battalion strength. I’m not sure how he’s defining “combat brigades,” but he must be dancing close to an outright lie — a brigade is only 3,000 to 5,000 soldiers, it looks to me like he’s leaving three divisions in place. … the United States will have six brigades in Iraq, by far its smallest footprint since the 2003 invasion. 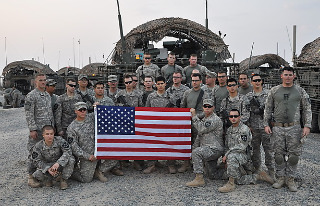 Those that remain are conventional combat brigades reconfigured slightly and rebranded “advise and assist brigades.” The primary mission of those units and the roughly 4,500 U.S. special operations forces that will stay behind will be to train Iraqi troops. Under a bilateral agreement, all U.S. troops must be out of Iraq by Dec. 31, 2011. Even though the war isn’t over, this is a milestone worth celebrating. As a testament to the effectiveness of Bush’s “surge” — which succeeded quickly enough to prevent Obama from surrendering — the 4th Stryker Brigade did not suffer a single combat casualty during the one-year tour that just ended. On the brigade’s previous tour in 2007-2008, 37 brave soldiers paid the ultimate price. When I first started hearing about it, the controversy over a proposed mosque near the gaping hole where the twin towers once stood seemed like an annoying distraction. I wished the whole discussion would just go away. I sympathized with the visceral opposition to a monument to Islam near where fanatical Muslims killed so many Americans. But it’s too easy to caricature that opposition as religious intolerance. So what gives Imam Feisal Abdul Rauf of the “Cordoba Initiative” and his cohorts the misplaced idea that they will increase tolerance for Muslims by brazenly displaying their own intolerance in this case? As Muslims we are dismayed that our co-religionists have such little consideration for their fellow citizens and wish to rub salt in their wounds and pretend they are applying a balm to sooth the pain. Though I have nothing but contempt for the fanaticism that propelled the terrorists to carry out their murderous attacks on Sept. 11, I still have great respect for the faith. 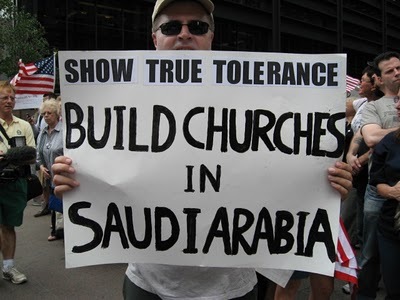 Yet, I worry that the construction of the Cordoba House Islamic cultural center near the World Trade Center site would not promote tolerance or understanding; I fear it would become a symbol of victory for militant Muslims around the world. My first concern is whether the financing truly represents the local American Muslim community or comes with strings from foreign Islamists. But that is far from my last concern. 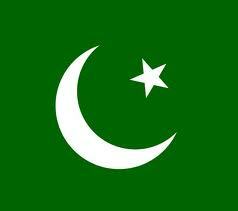 I am an American Muslim dedicated to defeating the ideology that fuels global Islamist terror — political Islam. And I don’t see such a “center” actually fighting terrorism or being a very “positive” addition near Ground Zero, no matter how well intentioned. 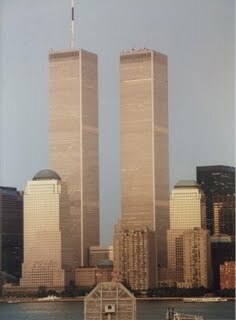 To put it bluntly, Ground Zero is the one place in America where Muslims should think less about teaching Islam and “our good side” and more about being American and fulfilling our responsibilities to confront the ideology of our enemies. On reflection, I think it’s a good thing that this controversy is taking place. It provides a forum for discussion of the delicate but essential task of distinguishing Islam from Islamic fascism. Three cheers for all of the brave Muslims and former Muslims who are willing to risk participating in that discussion. You’ll never see me use the term “War on Terror” outside of quotation marks. Terror is not the enemy, it is one of the enemy’s tactics. That part is simple. Deciding what to call the enemy is much more complicated. Debate over all of this is essential. The crucial point is that we must have the debate with eyes open. It is a debate about which Gingrich has put down impressive markers: The main front in the war is not Afghanistan or Iraq but the United States. The war is about the survival of Western civilization, and we should make no apologies for the fact that the West’s freedom culture is a Judeo-Christian culture — a fact that was unabashedly acknowledged, Gingrich reminded his audience, by FDR and Churchill. To ensure victory in the United States we must, once again, save Europe, where the enemy has advanced markedly. There is no separating our national security and our economic prosperity — they are interdependent. And while the Middle East poses challenges of immense complexity, Gingrich contended that addressing two of them — Iran, the chief backer of violent jihad, and Saudi Arabia, the chief backer of stealth jihad — would go a long way toward improving our prospects on the rest. Most significant, there is sharia. 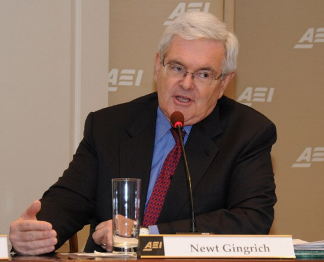 By pressing the issue, Newt Gingrich accomplishes two things. First, he gives us a metric for determining whether those who would presume to lead us will fight or surrender. Second, at long last, someone is empowering truly moderate Muslims — assuming they exist in the numbers we’re constantly assured of. Our allies are the Muslims who embrace our freedom culture — those for whom sharia is a matter of private belief, not public mission. Our enemies are those who want sharia to supplant American law and Western culture. When we call out the latter, and marginalize them, we may finally energize the former. It’s that simple. Not easy, but simple.